Come celebrate Valentine’s Day with us at the Love Jones party , we are providing the most sensual and romantic atmosphere for you and your significant other. 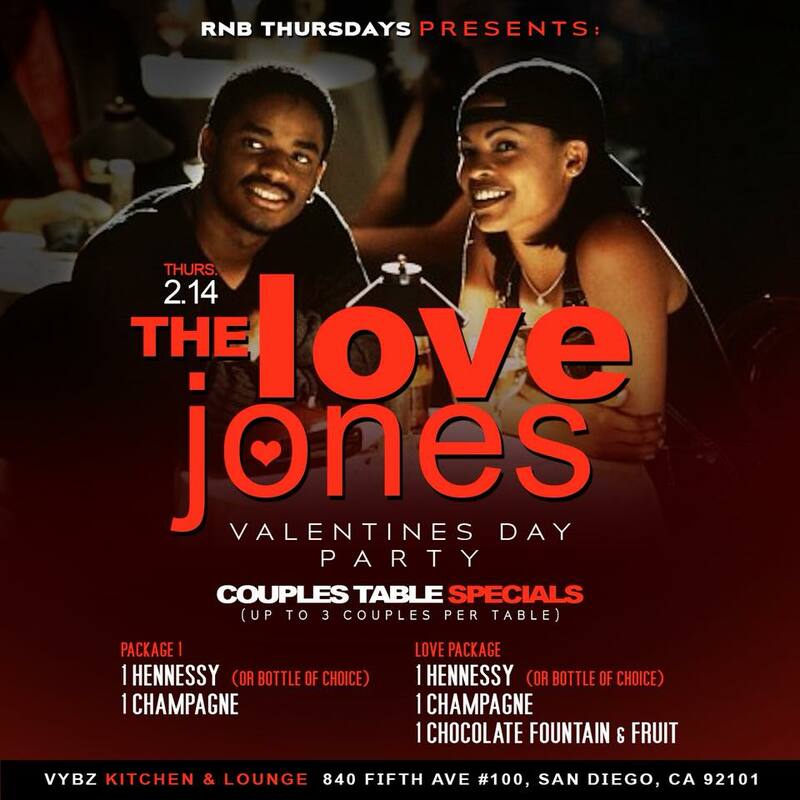 We will have the San Diego steppers showing up and taking over the dance floor with the couples dance  , sounds by Dj Tramlife and Dj BirdyBird , blending neo soul, old school love songs and R&b hits from the early 90’s – today , contact us for bottle service and our packages that include roses , a platter of fruit and access to our chocolate fountain ! We will have spoken word pieces by author Ashley Nicole from Blk Xpression . And did I mention it’s hosted by Black San Diego ?